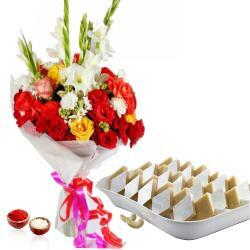 Product Consists : Basket arrangement of 21 Mix Yellow Flowers with Lots of fillersalong with Free Roli Chawal. Presenting anyone with flowers is a great thing. 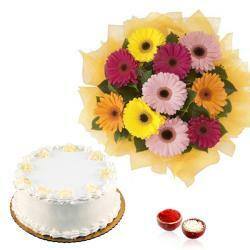 We have put together a fabulous combination of flowers to delight your dear ones on any occasion. 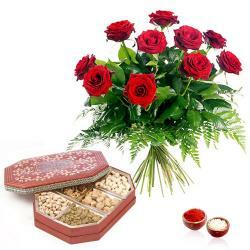 Specially for festivals like Bhaidooj, a hamper that has flowers clubbed with chocolates and Roli Chawal will suit the best. Make your grand romantic gesture truly memorable. Express your love and affection in a wonderfully elegant way with this beautiful basket arrangement of Yellow mix flowers with green leaves and lots of fillers. Delight your brother with this hamper filled with love and bag appreciation. 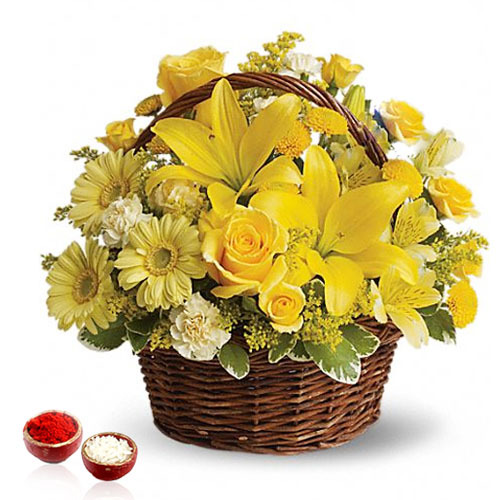 Product Consists : Basket arrangement of 21 Mix Yellow Flowers with Lots of fillersalong with Free Roli Chawal.